Having a sick child at home is no fun, for them or for you. When it happens, try these tips to keep everyone happy and returning to good health. Keep the drinks coming. I don’t mean adult beverages for you. With most illnesses, drinking liquids is important for hydration and flushing the body, so make sure you continue to have your child drink water, Pedialyte, and no-sugar-added juices. While you’re at it, make sure you stay hydrated, too. Taking care of yourself will help you take better care of your sick child. Engage in gentle playtime. Though your child may not be up for running around outside, play is a great way to get some light movement and engage the brain. Try puzzles, sculpting in Play-doh, or coloring pictures. Let them put stickers on their pajamas. Pull out that kids’ doctor kit and take turns diagnosing each other. Read stories together. Cuddle under a snuggly blanket while singing along with or reciting lines from their favorite movie. Let them see nature. Depending on your child’s ailment, a few minutes outside may be beneficial. Have them breathe in the fresh air and feel the sun on their face. If they can’t go outside due to illness or poor weather, situate them so they can see out a window. Call the pediatrician. If your child has any symptoms you don’t understand or shows unusual behavior, call their doctor. They may be able to give you some tips over the phone or you may need to go in for an office visit for a more thorough exam. Either way, it’s important to notify your pediatrician of any health concerns. It may not be a fun day, but you’ll both get through it and back to your normal routine soon. 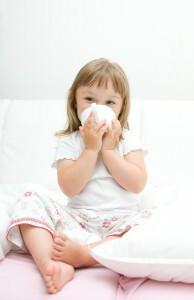 What tips do you have for taking care of sick children? Share in the comments or on Facebook or Twitter. I’d love to hear from you. 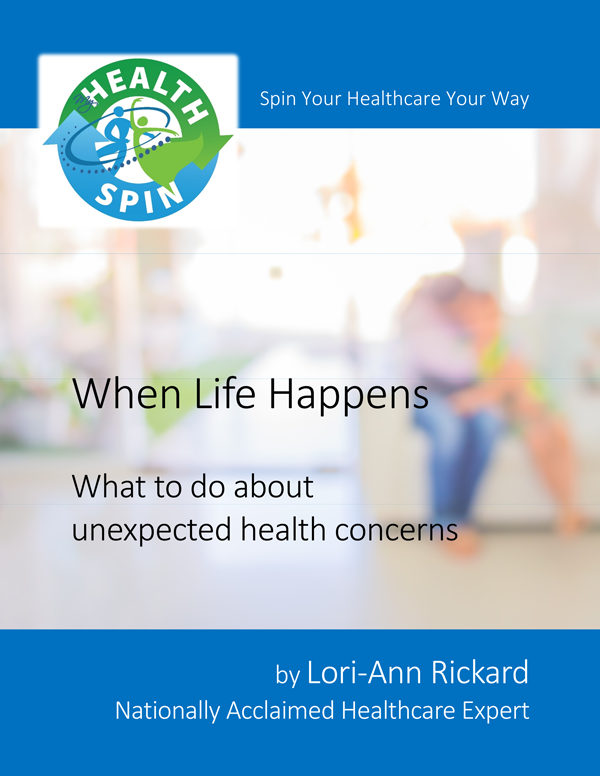 Be sure to check out my newest offering When Life Happens: What to do about unexpected health concerns. This is a bit different than my other books. When Life Happens is a workbook filled with information, tips, and tricks for getting through accidents, difficult diagnoses, rehabilitation, and what to do with the kids through it all. But it also has activities to guide you through your situation. It just launched this week. You can find it here. We completed another successful webinar yesterday on when life happens and how to handle unplanned healthcare. This was our fourth webinar and I have been enjoying sharing these healthcare tips with you in this way. I hope you continue to tune in! Yesterday I had the opportunity to answer your questions. Thank you so much to all of you who submitted your questions. There were many great ones! As a single mother raising two girls, this question very much resonated with me. When my youngest child was born, she was born with a serious illness. 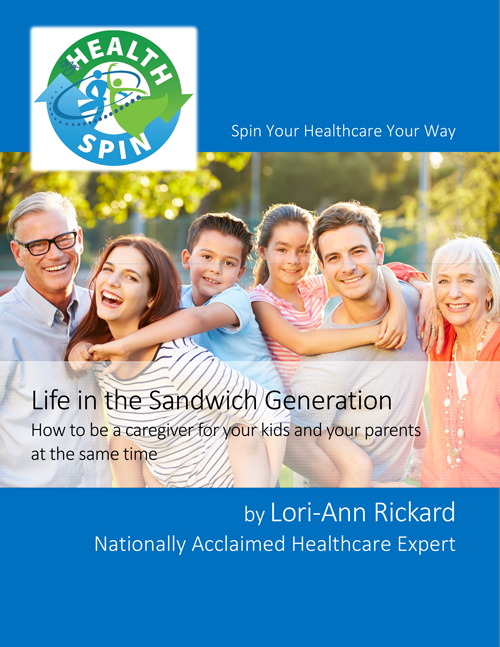 I had to figure out quickly, how to balance tending to my sick child and how to care for my healthy child. When my daughter was diagnosed, instinctually, my focus became 100 percent on my sick child. It was difficult for me to remember that I also had a healthy 24-month old daughter who needed a lot of care as well. When you do have a sick child, all the energy and resources tend to go to that child. However, if you have other children who are healthy or even a spouse, it’s important not to neglect them. It’s essential to find time to care for the other loved ones in your family, even if it is just for a few hours of your day. Make a play date with your healthy child. Pick your child or children up from school, assist them with their homework, or take them to the library. This will be meaningful to them and will also give you some down time to clear your mind. When my daughter was in the hospital, I was there for weeks on end and I didn’t really leave her bedside. One evening, the doctor came into the hospital room, looked at me and my mom and said, “Grandmas’ can take care of babies too!” He recognized that I needed a break. It was such an important reminder to me that there were other things I needed to do for myself and my family. In the midst of caring for everyone else, make sure you don’t forget to care for yourself. If you aren’t caring for yourself, everyone else suffers. Take a few minutes out of each day to do something for your mind and body. Go for a walk outside, meditate, or even read a book. This will make you and your families experience less difficult and more manageable. Thank you to our readers for submitting that wonderful question. If you did not get a chance to register for the February webinar yesterday on Unplanned Healthcare, we have two additional times when you can watch the webinar. Tune in HERE on Friday, February 26 at 12 pm EST or Sunday, February 28 at 11 am EST. Need additional tips for unexpected health concerns? 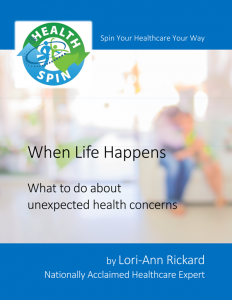 Check out my NEW hands on Workbook When Life Happens: What To Do About Unexpected Health Concerns. This workbook will assist you in planning for all types of unexpected health concerns for you and your family. Follow us for more health care news and tips daily on Twitter, Facebook & Instagram. We hope we have helped you SPIN YOUR HEALTHCARE YOUR WAY! Father’s Day was always a special time in our home. 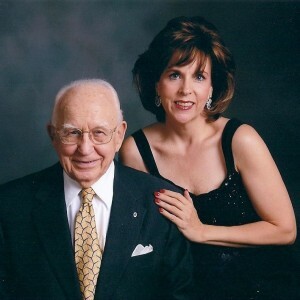 As many of you know, I was very close with my father who was a United Methodist Pastor. Not only was he the best dad I could ever hope for, but he helped me raise my two daughters as I was a single mom from the time my girls were very little. There was no way to properly thank my dad for his love, attention, caring and constant presence in our lives. My Dad passed away in 2013 but I feel him with us everyday. In the last years of his life, he struggled with his body not keeping up with his mind. Since I took care of him, it was hard to switch from the daughter, who always had her strong dad by her side, to the caregiver. Dad didn’t like it anymore than I did. But we made our way through the challenges, always having each other. I learned that neither he nor I had all the answers. There were no “quick fixes” that make a 90-year-old body feel in perfect health again. I learned the meaning behind the statement “take it one day at a time.” Often, we are trying to plan ahead and foresee all potential problems. As my dad aged, planning rarely worked. You have to be happy for what you have that day, as things might change again tomorrow. I learned to cherish being with him, as he was gone much sooner than I wished. I’m so grateful that we had the time together at the end – to talk, to laugh. My dad loved poems. When someone came to visit him and when he was in the hospital, he would entertain everyone with poems. I thought I’d leave you with one today. Wishing you all a wonderful Father’s Day!!!! Did you take care of your parents as they aged? We’d love to hear from you! Check out how more information on caring for a parent in assisted living in our eBook, Easy Healthcare: Choosing an Assisted Living Facility.